If you would like more information check out the Chequamegon Community Play Group’s Facebook page! Family relationships matter! Your source of well-researched, quality information about families and relationships. 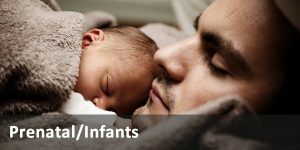 The UW-Extension Parenting Website will connect you to research-based information for parents of infants to teens, all of the resources listed here, plus more! Parenting Newsletters offer research-based information for parents of infants, young children, preschoolers and grandparents. Newsletters can be accessed online or in print at your county office. Just in Time Parenting is a newsletter series that can be emailed to parents monthly and is specific to your child’s age and needs, from prenatal to age 5. The articles Include important information on child development, nutrition, health, safety, child care and much more. Parenting th e Preschooler fact sheets support parents and caregivers of preschool aged children. They cover a wide variety of topics including health, development and relationships. Parenthetical is an e-newsletter, website and social network for parents of tweens and teens. Parents can connect and share ideas with other parents, as well as receive trustworthy information on parenting and teen development. Parenthetical features weekly articles about parenting topics based on research and the collected lessons and wisdom of parents.